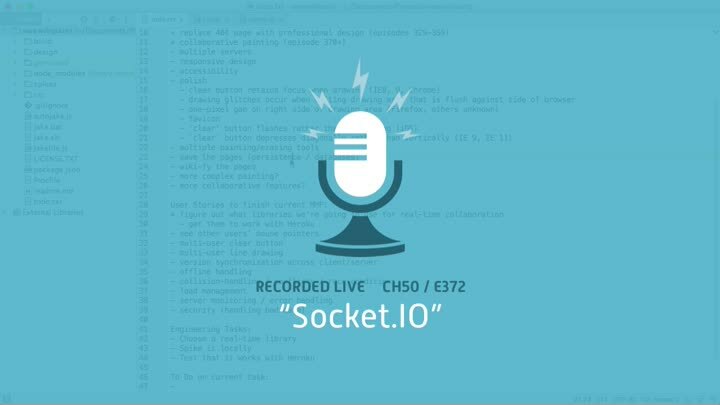 We’ve chosen socket.io as our library for real-time collaboration. Now it’s time to try it out. We create a simple spike application to prove that our client and server can talk to each other. It takes a bit of trial and error, but by the end of the episode, we have it working.